Between starring on a successful television show and planning a celebrity wedding, This is Us star Mandy Moore is as busy as ever these days. 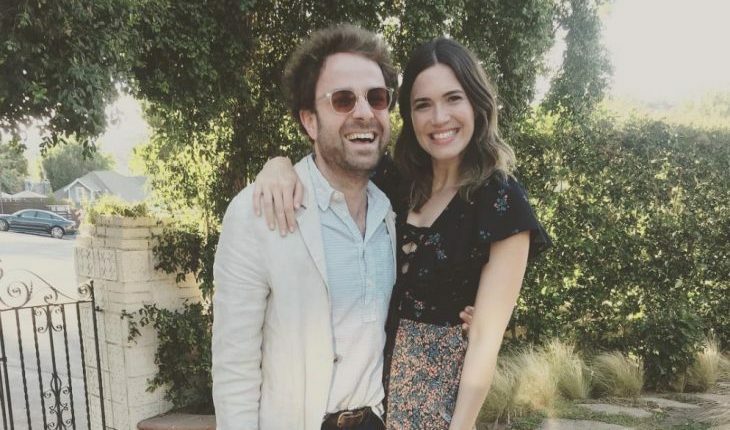 Moore and her fiancé, musician Taylor Goldsmith, have been engaged since last month and the actress is finally talking about the excitement in her life! According to People.com, Moore credits Instagram for bringing the celebrity couple together – after posting a picture of his album, they began emailing and “the rest is history.” Before meeting Goldsmith, Moore says she spent a “few years of just unhappiness,” but knows she has found the “right person” because they “can handle anything together.” As far as the ceremony goes, Moore says her upcoming celebrity wedding will be “quiet and private” as she and Goldsmith are quiet and private, too. This celebrity wedding-to-be is making Mandy Moore very happy. What are some ways know if you’re ready to take the next step in your relationship and get engaged? It looks like former celebrity couple Ryan Adams and Mandy Moore are going their separate ways! How do you know when you’re ready to move on from a past love? Sometimes even married celebrity couples have to call it quits when things go terribly wrong in their celebrity relationship. When the latest celebrity news and gossip hit the press that famous couple Mandy Moore and Ryan Adams were filing for celebrity divorce, our hearts were broken. According to UsMagazine.com, Moore officially became a single celebrity woman by ditching her wedding ring and spending Valentine’s Day weekend with her best friend at a celebrity getaway. Celebrity divorce is tough because all eyes are on people like Mandy Moore and estranged husband Ryan Adams. What are some ways to keep your divorce drama private? Well, it’s been a marriage to remember. 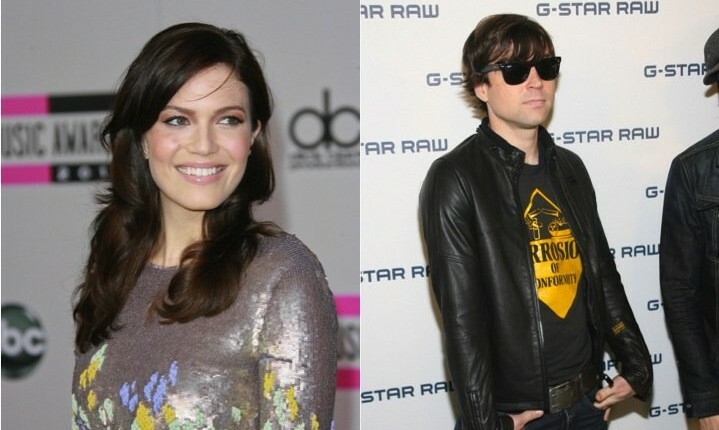 According to UsMagazine.com, actress and singer Mandy Moore is calling her celebrity marriage to Ryan Adams quits. This celebrity divorce ends after a six year relationship between the two artists. The celebrity exes released a statement stating, “It is a respectful, amicable parting of ways and both Mandy and Ryan are asking for media to respect their privacy at this time.” This celebrity couple has always kept their relationship private, and the divorce is being handled no differently. Celebrity divorce is often analyzed by the celebrity news media and public. What are some ways you can keep your divorce private? Mandy Moore and long-term partner Ryan Adams marked their fifth wedding anniversary with a huge celebration on Sunday with family and friends. The star posted pictures of the evening’s festivities on Instagram, with everyone looking lovely and in smiles. According to People, everyone who attended the party dressed up for the monumental occasion, with the guys wearing ’50s looks and the gals wearing party dresses along with fun accessories. Moore,29, herself sported a sombrero, while her good celebrity friend Minka Kelly wore a clown bow-tie. The fashionable couple got engaged back in 2009 and are now happily married. Moore even posted a photo of her marriage certificate the week before with a caption that read, “The best 5 years…”. Congrats to the married couple! How do you make your wedding anniversary special? A marriage counselor, Ava (Mandy Moore) is thrown for a loop when her parents decide to get a divorce in Love, Wedding, Marriage, which hits theatres June 3rd. Ava, who has recently married Charlie (Kellan Lutz), is now questioning everything for which her marriage stands. To counter that feeling, she decides to get her parents back together by moving her father in with her and her new husband, much to Charlie’s dismay. Through laughs and tears, this family finds a way to make it work despite all the emotional struggles they’re going through. …curiosity getting the best of you? Click here for more. It looks like there’s at least one celebrity couple we can count on. After two years of marriage to musician Ryan Adams, Mandy Moore is still very much in love. The actress and singer recently told People, “I feel very supported and loved and at peace … I got my own little happy ending.” And for Moore, happiness is found in the little things. After mentioning how “nerdily obsessed” she and her hubby are with their two cats and dog, the actress added, “We’re big homebodies … We never want to leave [the house].”How do you have fun staying in for the night?